I’m a multi-genre author, dividing my writing time between motivational non-fiction for adults, and the fantasy worlds of my YA fiction. I’m an obsessive list maker who loves pizza, vampires and mythology, Tudor history and visiting castles! I may also have crazy cat lady tendencies. I’m also the founder of the Motivate Me Academy where I share my personal development blog, eCourses, and physical workshops – Motivate Me The blog was the basis for my bestselling non-fiction book, How I Changed My Life in a Year. The Most Inspirational Blogger Award again does what it says on the tin. A blogger who consistently inspires you. A blogger that’s thought provoking and inquisitive. Or perhaps they have become a muse to you with constant provision of inspiration. A blogger who touched your heart and inspired you. I was utterly delighted to then scoop second place in the same category (Most Inspirational Blogger) in the 2017 Awards. I was born in Leeds, West Yorkshire but raised in Solihull, West Midlands, UK, where I live with my three grown-up children, one eleven-year-old fat goldfish and a black cat called Luna. You can check out all my titles via my publisher, BHC Press. Hello Shelley. Your background experiences sound very interesting. It’s great that you help others begin on their meditation journey. Meditation has worked for me and transported me to many heightened levels. Also, I have worked with YA and I know that they must enjoy your works. Will put a few on my reading list. Cheers, Lynn M.
Hi Shelley and thank you for the follow. And if you are at the Bash in June, see you there! Amen to that! Self-mockery or seeing the humour in things always helps me to lighten up the situation :).Thank you as well!! Hi – I was reading your blog about writing and noticed that Lyndsy Fonseca is a source inspiration for you. She’s my daughter-in-law, married to my son Noah Bean! She is a lovely person in real life, too. Thank you for your interesting comments on motivations for life and writing. Very inspiring. Thanks for following Kyrosmagica Shelley, had a great time at the bash, shame there is never enough time to talk and mingle with everyone… before we know it it’ll be Bash 2017! EEK! I reckon she might just do that! I’m not even in the running! I’m another list fan, often have a few on the go and yeah, great when I can tick something off, or cross it out when I’ve added it to a story! 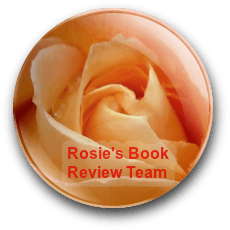 You have a lovely blog, Shelley and interesting to read about your books, book reviews and other activities. Thank you so much, Annika. I’ve just popped over to your beautiful blog too. It’s great to connect and read your posts. Hi Shelley, so good to connect with you, thanks very much for the follow! I love your motivational quotes. Quite often as I sit down to write I read through a few, it makes a good start and gives me the right frame of mind to carry on where I left off the day before. Pizza, Vampires, and Mythology sounds like a holy trinity to me. A good one!